LG Malaysia just launched the award-winning LG SIGNATURE OLED W7 TV, and it was easy to see why – it is incredibly thin! Let’s take a look at the new LG SIGNATURE OLED W7 TV, and find out what else is great about it… and how much it costs! The LG SIGNATURE OLED W-series won more than 20 awards at the 2017 Consumer Electronics Show (CES). Touting a Picture-on-Wall design, the 77″ SIGNATURE OLED W7 won the CES Best of Innovation Award. Due to limited supplies and the understandably astronomical price point, LG Malaysia will only be bringing in the 65″ SIGNATURE OLED W7 TV. Thanks to the LG OLED display technology, the 65″ SIGNATURE OLED W7 TV boasts an ultra-thin profile of just 3.8 mm. This allows it to be directly mounted onto any wall or glass panel using only four magnetic brackets. 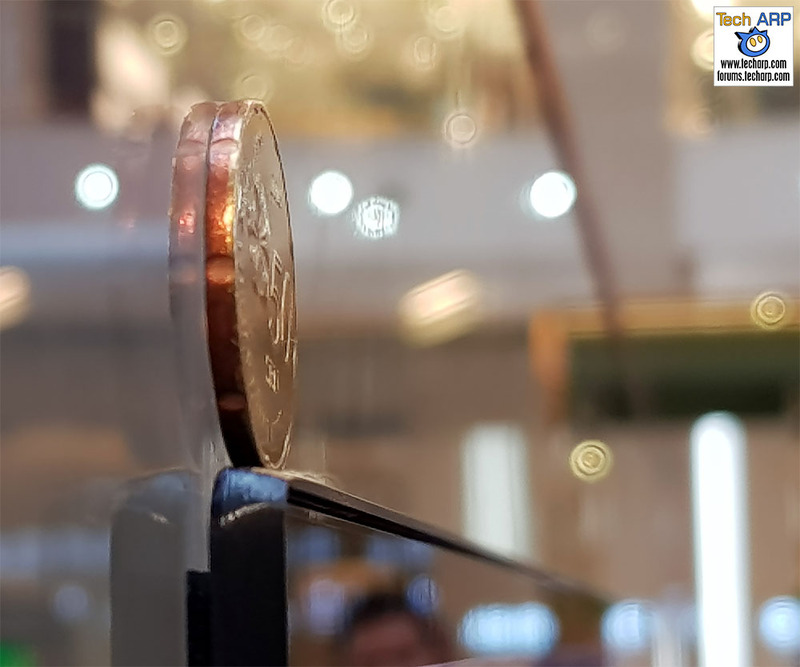 To demonstrate this, we placed a Malaysian 50 sen coin (new type) on top of the panel, so you can better see how thin it really is. Here is a quick video tour of the 65″ LG SIGNATURE OLED W7 TV. Check out the six magnetic brackets and the ultra-thin cable at the back. It’s not just about looks. The LG OLED display technology not only do away with backlights, it produces perfect black, thanks to its self-lighting pixels that can be turned on and off. The SIGNATURE OLED W7 TV also supports Dolby Atmos surround sound, and HDR formats like Dolby Vision, for the ultimate cinematic experience. 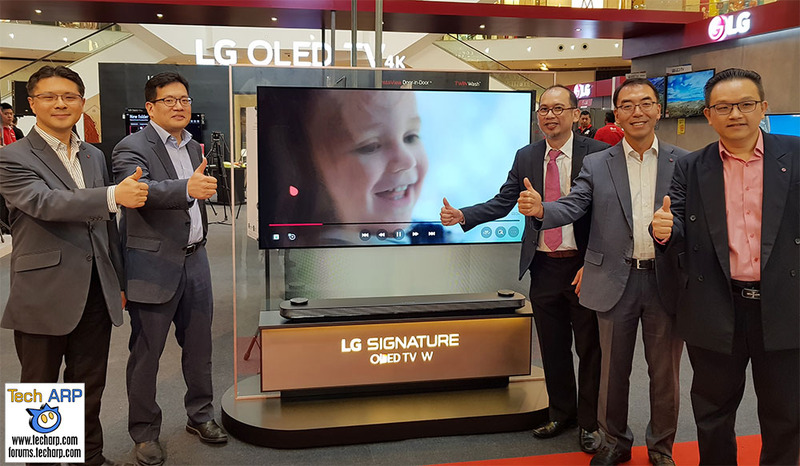 LG Malaysia is only bringing in the 65″ SIGNATURE OLED W7 TV. It has an official MSRP of RM 44,999 / ~US$ 10,699. However, you can pre-order one at a very special price of RM 39,999 / ~US$ 9,499. The offers end on 6 August 2017. In addition, the first ten customers will receive a free travel voucher worth RM 2,000 / ~US$ 470. In conjunction with the LG 2017 Roadshow in Pavilion, they hosted the first-of-its-kind Malaysian Vegetable Orchestra performance by the Malaysian Buskers Club. Yes, they actually used vegetables as musical instruments. Check it out! Previous : AMD Radeon RX Vega – Everything You Need To Know!